A motorcyclist died on Saturday morning when the bike he was riding was struck by another vehicle. The accident happened at around 3:20 a.m. near the Berkeley Avenue exit. Police believe that the vehicle that struck the motorcyclist was a black car; they don’t have information about its specific make and model. They do know that the car was apparently speeding and drifted out of its lane, striking the motorcyclist. They are not yet sure whether drugs or alcohol were involved in the collision. Unfortunately, hit-and-run crashes involving motorcyclists are a frequent occurrence on Washington state’s roads. Less than a month ago, a motorcyclist from Edgewood was struck by a pickup truck and thrown into an SUV. The motorcyclist died in the accident; the pickup truck left the scene. Another motorcyclist was struck and killed by a semi-truck less than two weeks later; the driver left the scene without stopping, and police suspected that the trucker did not even know that the collision had occurred due to the size difference between the two vehicles. In April, a motorcyclist was left to die in the middle of the road by a driver who did got out of his vehicle and ran away from the scene. In June, a motorcyclist survived a hit-and-run crash in Tacoma but was left with shattered bones, a broken neck, and severe road rash. “How can you hit somebody and just leave them and not know if they're dead or not?” the victim’s girlfriend asked reporters as the search for the at-fault driver dragged on. In many cases, a negligent driver may not even realize that they have struck a motorcyclist because their vehicle is so large that they attribute the sound of the impact to something else. A driver who clips a motorist may not even realize that their car made contact with another vehicle. 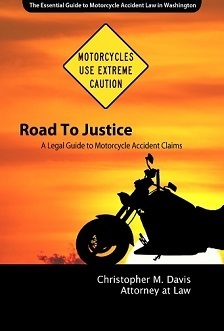 In some cases that Davis Law Group has seen, an at-fault driver who causes an accident by stopping short or pulling out in front of a motorcyclist may not believe that they have caused an accident, even after being shown evidence or receiving a citation from law enforcement officers for negligent behavior on the road. In other cases, a driver who causes a crash may decide that fleeing the scene is the best option for them. Because Washington state law punishes drivers who are intoxicated behind the wheel much more harshly than drivers who leave the scene of an accident, a driver who knows that they have drugs or alcohol in their system may flee the scene in order to avoid toxicology testing. Drivers who have no license may also leave the scene of an accident in order to avoid being found out. Young drivers who have not been taught how to behave after causing an accident are frequently involved in hit-and-run crashes. 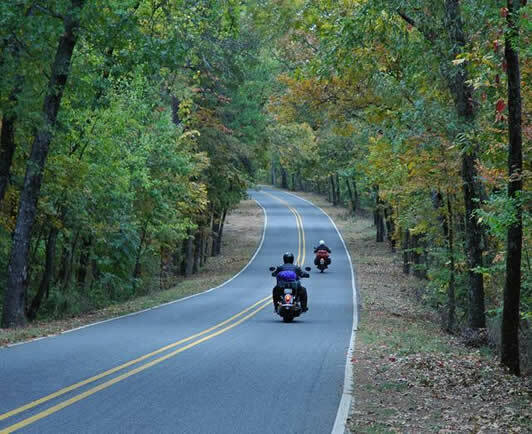 If you have been involved in a motorcycle crash, contact Davis Law Group.